What a difference a year makes. After releasing the nearly-inescapable Blurred Lines last year, Robin Thicke’s latest album Paula has flopped dramatically. According to The Guardian, Paula has sold 530 copies in the UK and entered the album chart at #200. Thicke’s last album, Blurred Lines, peaked at #1. The album has performed even worse in Australia, where it has sold less than 54 copies and failed to chart in the top 500 albums. 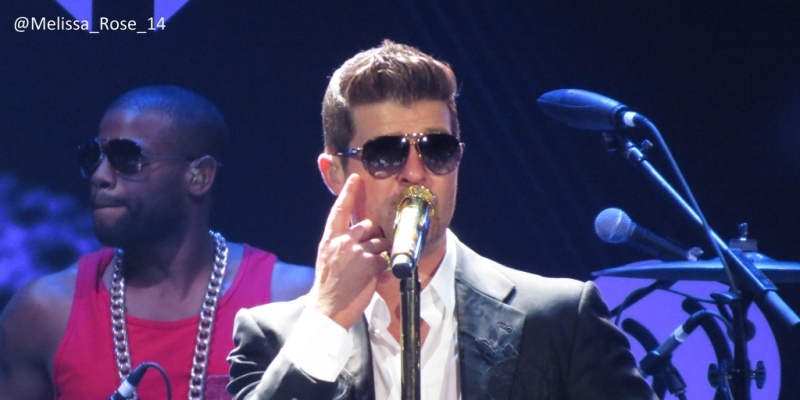 Thicke can take some consolation in the fact that the album has done well in America, though, where it hit #9 on the Billboard chart and sold 24,000 copies in its 1st week of release. Still, it’s nothing compared to the performance of Blurred Lines, which reached #1 in over 6 countries. Something tells us we probably won’t be receiving many copies of Paula in the future. Or, if it’s as bad as the critics say, we’ll get 530 all at the same time. Only time will tell!